I have a weakness for cheap things. It's an engineering challenge for me. To create a great product by throwing infinite amount of resources into the project is easy. It is much harder to build a good product with minimum resources. So when one of my distributors had a very rare availability of these cheap, cheap, cheap pistols, so, I thought, what the heck, it's a go! 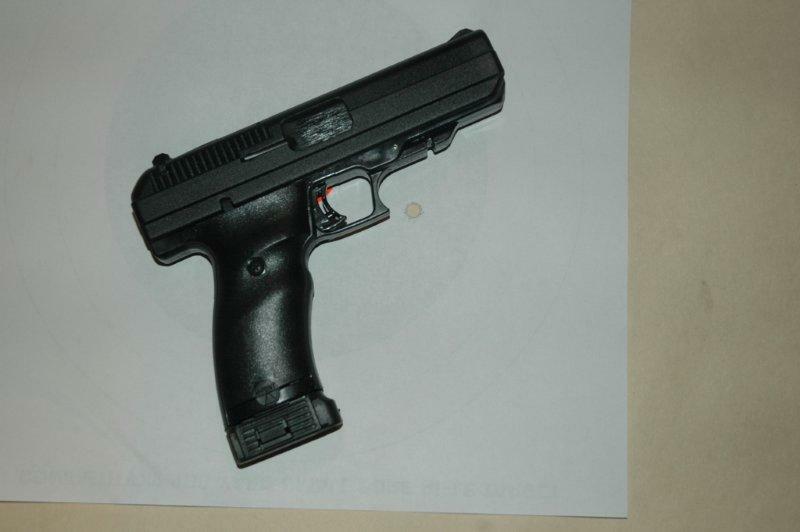 To fully appreciate a Hi-Point pistol, you must realize on thing upfront: it is not a Sig. It is very much not a Sig. 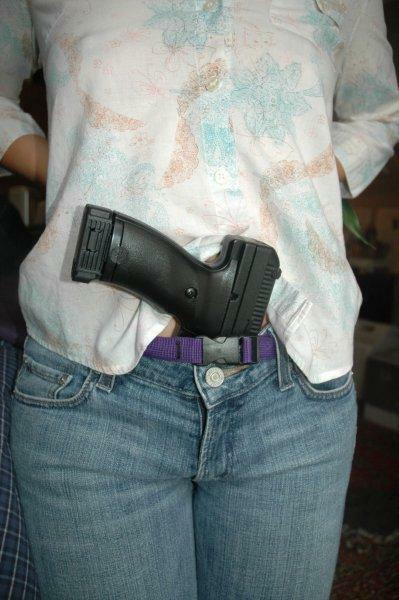 It is not even a Glock, although the difference is less stark. Nor it should be, at a fraction of the price! A going rate for a Hi Point pistol is about $150 (ok, that's what I sell them for, the street price is higher). A minimum advertising price for a cheapest Glock is $500, more than three times more. ...my first thought was, boy, this thing is big! And the second was, boy, it is ugly! And heavy! 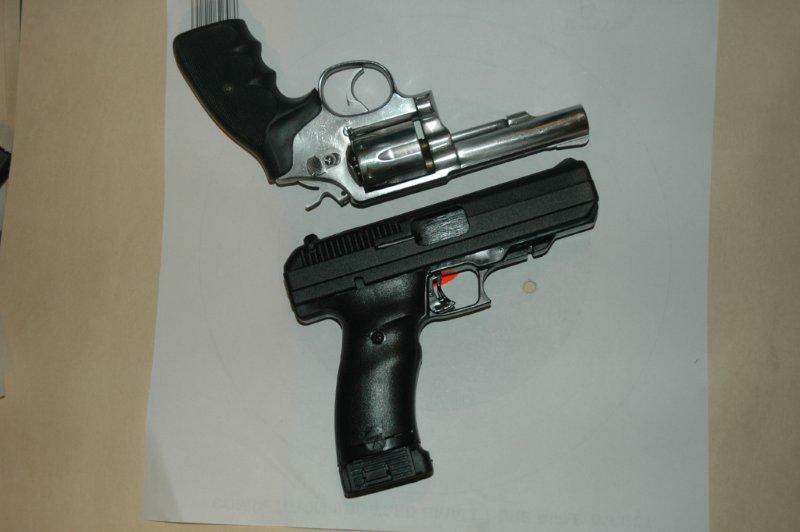 In actual fact, the pistol looks bigger than it is - its size is not really that extreme. Nor it is especially heavy. 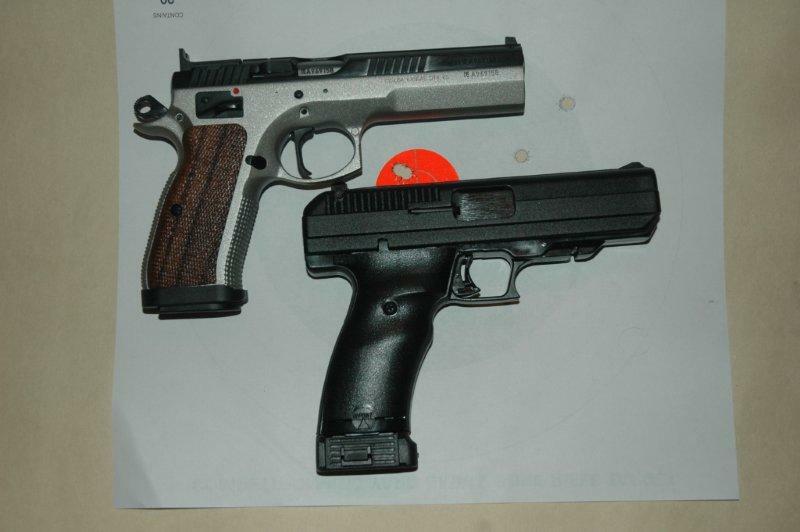 At 2lb 13oz it weighs 12oz more than Sig P226 and about the same as CZ 75 Tactical Sport. The illusion of size, weight as well as the sense of ugliness is created by an oversized, heavy slide. There is a a good reason for the slide to be big, however. JCP is a blowback operated pistol chambered in 40S&W. 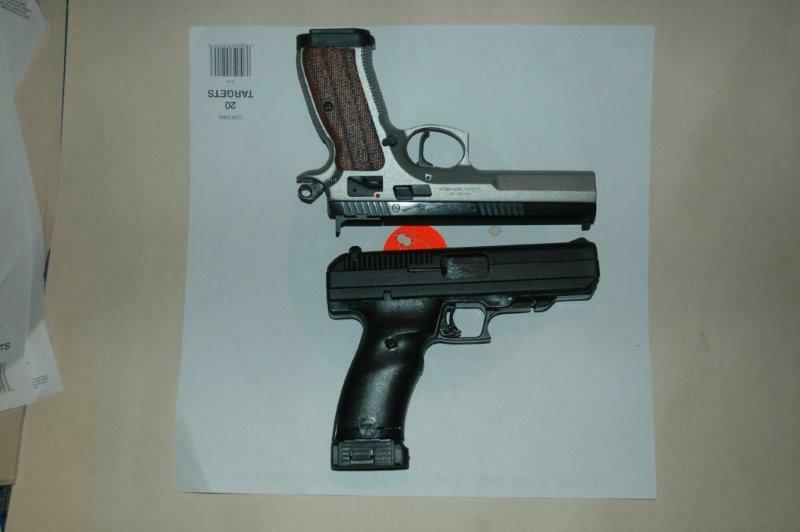 In blowback pistols the slide is moved backwards by the gasses pushing against the spent cartridge. The slide is not locked, so its inertia must ensure that the breech does not open until the bullet leaves the barrel. 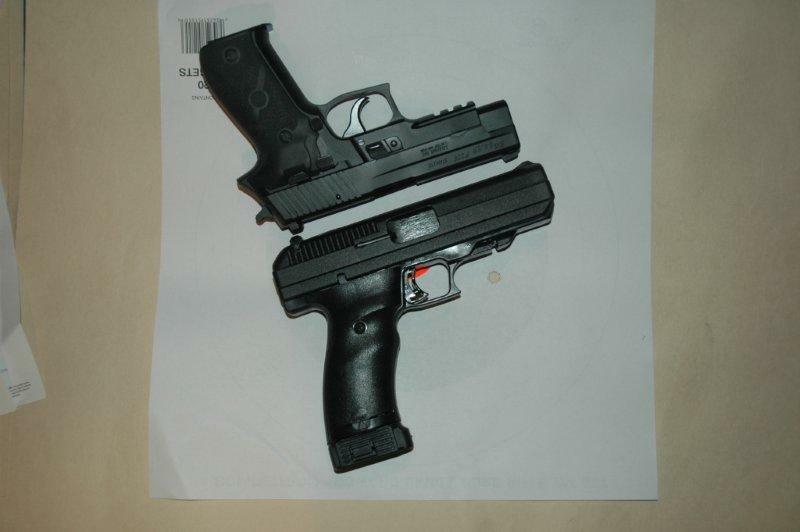 40S&W is a powerful caliber, therefore the slide has to be extra heavy. Still think it is ugly? JCP has a 4.5" barrel and weighs 29 oz. It comes with adjustable rear sights. The sights are painted white and orange, and are supposed to be easy to see. It probably is, in a point and shoot scenario. 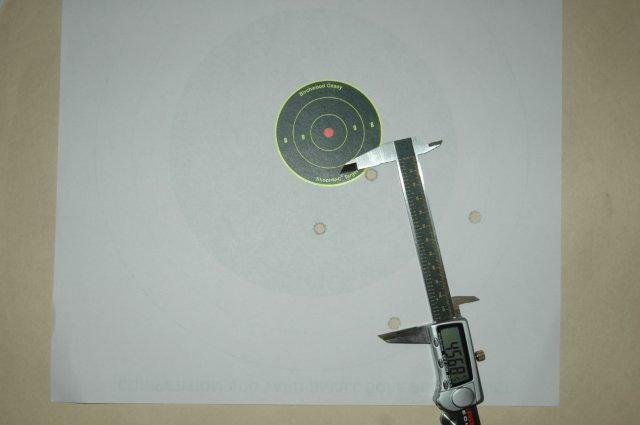 However, depending on lighting, the colors can interfere with accuracy when aiming carefully, so it is a mixed blessing. 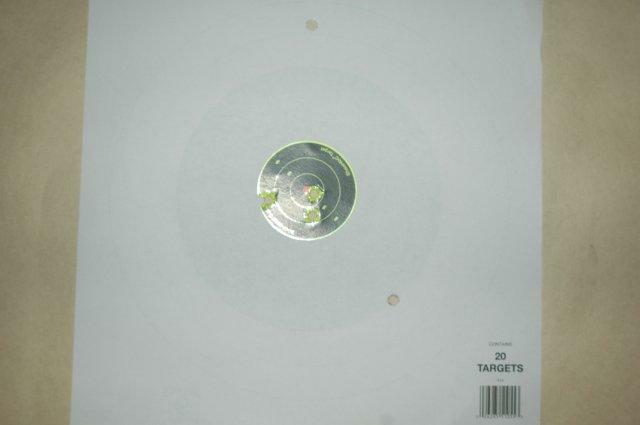 Peep rear sight is also included, but I have not yet tried it. 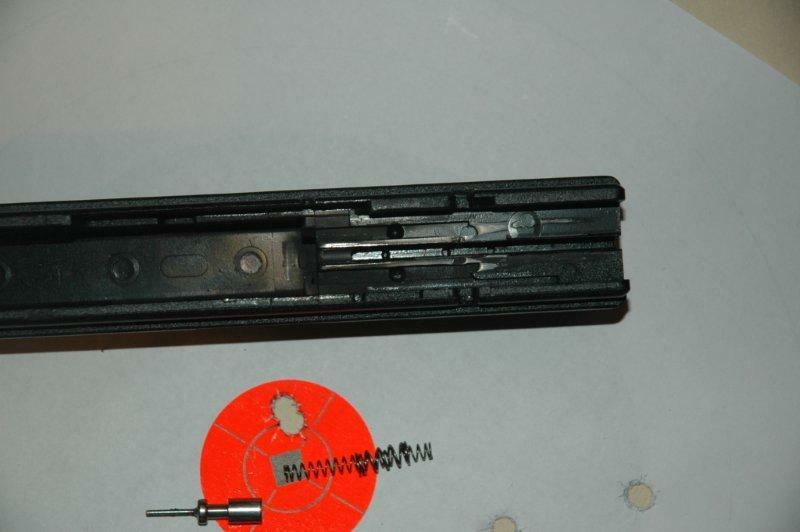 There is no slide release, the magazine has to come out to drop the slide on an empty chamber. 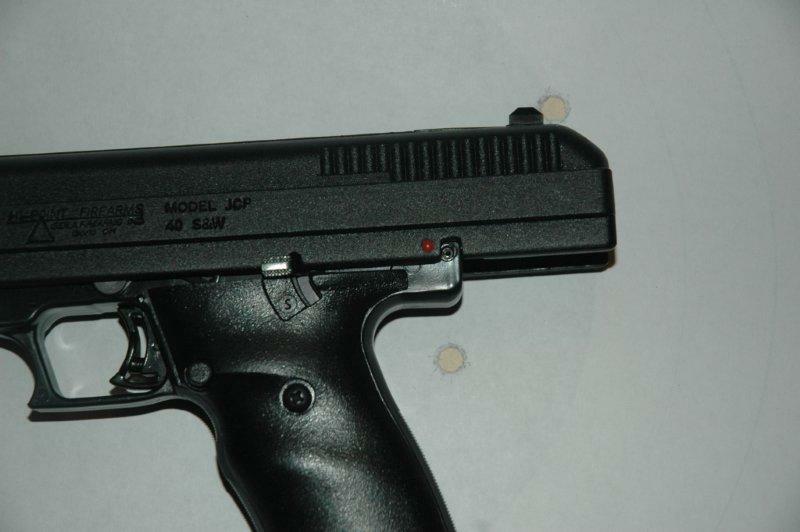 The only two controls on the pistol, other than the trigger, is the safety lever and a mag release button. 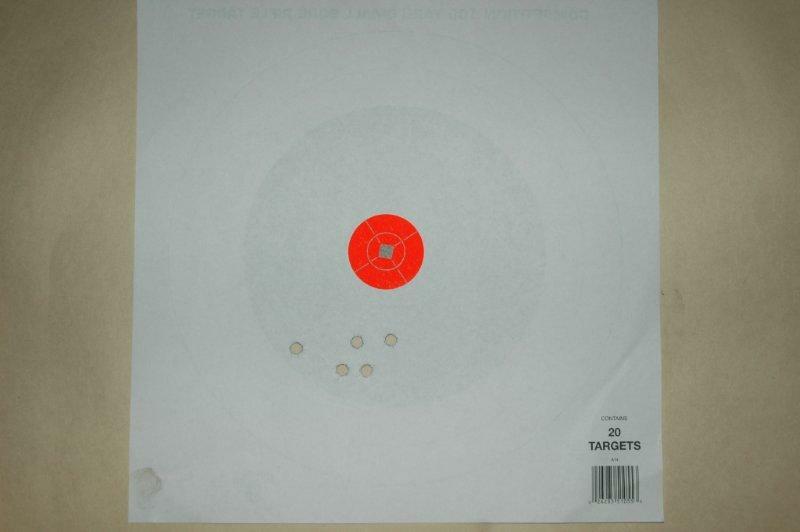 The magazine holds 10 rounds; only one magazine is included. For a but extra, the pistol can come in a plastic case. The first thing I did was taking it apart. The disassembly is inconvenient - it requires driving out a pin that holds the slide and frame together with a punch. To do so, the slide is pulled all the way backwards and locked in place by the safety lever, which exposes the pin. Once the pin is out, the slide can be lifted by drawing back and up, similarly to Makarov. Unlike most other designs, the striker and its spring are easily removable. Inside the pistol looks worse than outside - the breech and the inside of the slide were evidently hewn by mountain trolls using stone tools. It is, again, a reminder that you did not pay for a fine piece of German engineering? There is one good thing about JCP's construction, however. The firing pin is held in the slide by an easily removable retainer and slides out without the use of any tools. 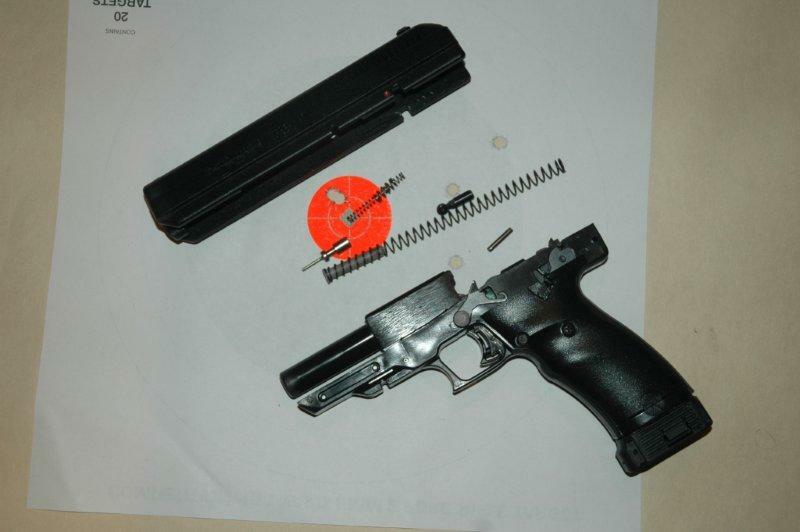 Overall, other than the need for a punch, the pistol is not very difficult to take apart and put back together. So the pistol is cheap, it won't win any beauty contents, but how does it shoot? Well, actually, much better than you'd think! 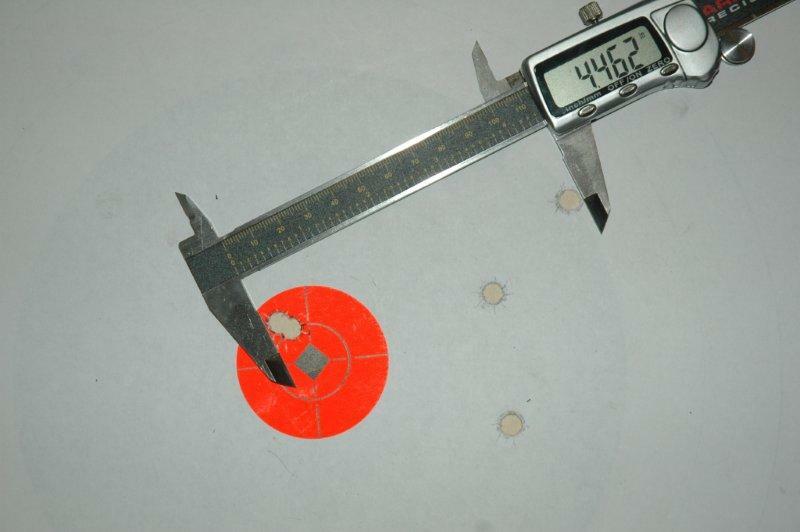 Off-hand 10 shot groups at 25 yd were typically around 6", and 5 shot groups fired from the rest were around 4". 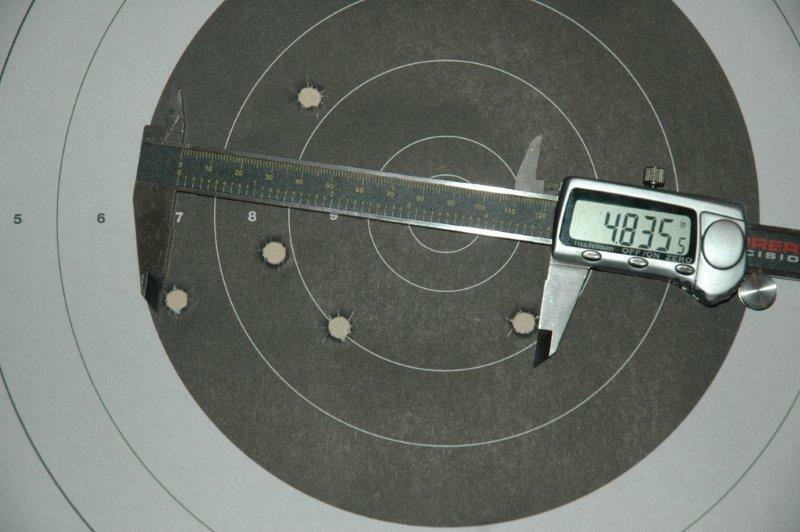 Interestingly, there was not a significant difference in accuracy between offhand and off the rest shooting. 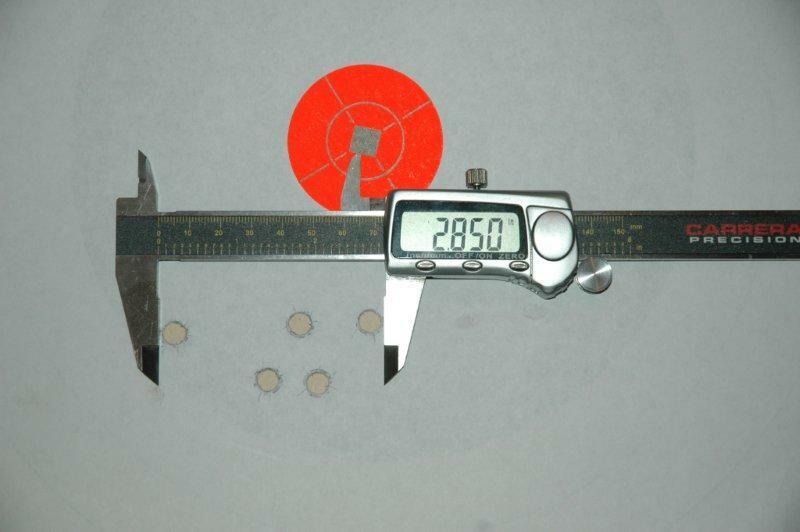 Remington UMC target ammunition was more accurate than 180gr Winchester Ranger JHP. 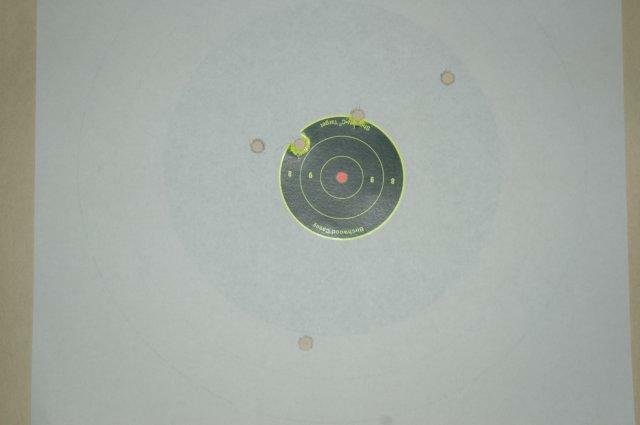 The recoil was very manageable - I expected a lot more from a 40 blowback. Shooting it was surprisingly more comfortable than, for instance, my P64 or CZ82. 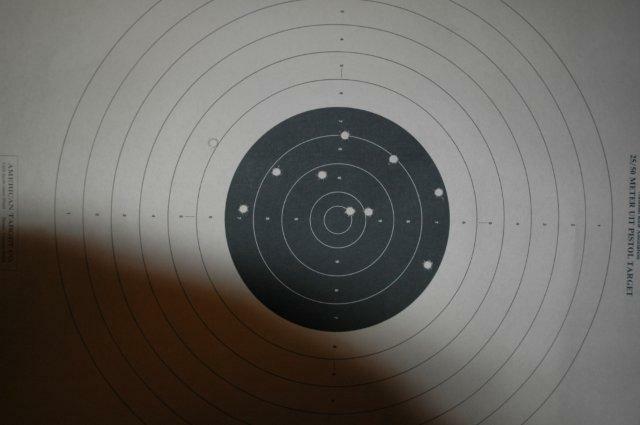 In fact, I shot roughly 40 rounds before I got tired enough for the accuracy to start deteriorating. With Glocks my hand tarts shaking after 20-25 rounds. 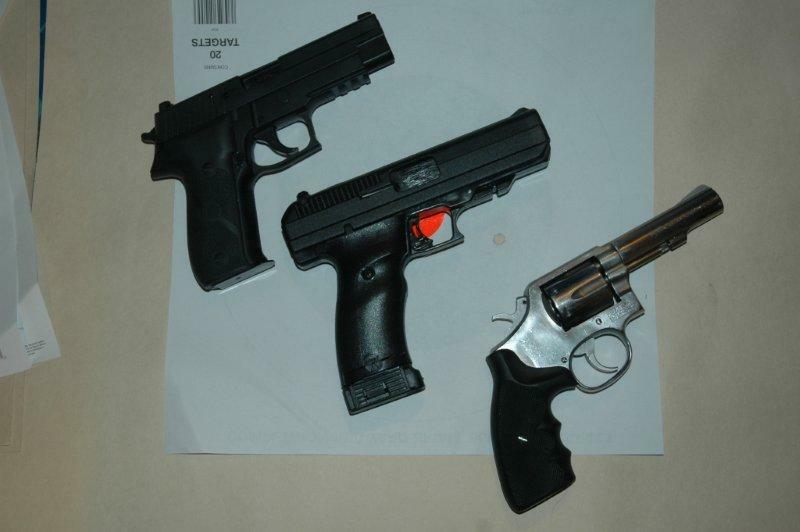 The trigger pull is roughly 8lb - a lot for a single action pistol. It has a two-stage feel to it - I would say roughly 6lb first stage, and then a decently clean break at 8 once it reaches the final point. 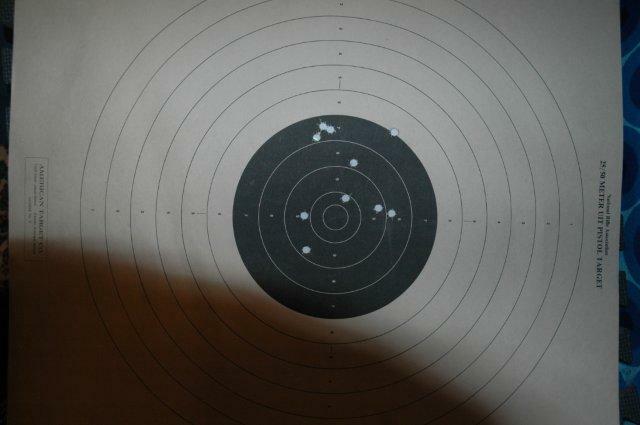 Again, shooting it for some reason tired me less than a Glock in the same caliber. The handle fit my hand well - this of course depends on a person, you should definitely try before buying. Reliability was fine - out of 100 rounds fired, there were no jams or failures to eject. 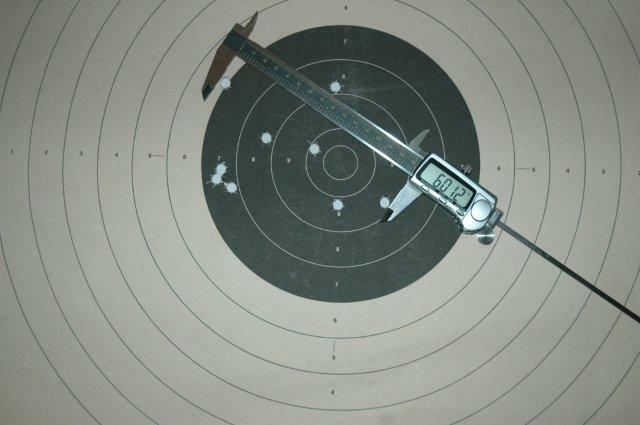 This is not a target gun, however, it is decently accurate - at least 70% of the people I observe at the range will not be limited by this pistol. 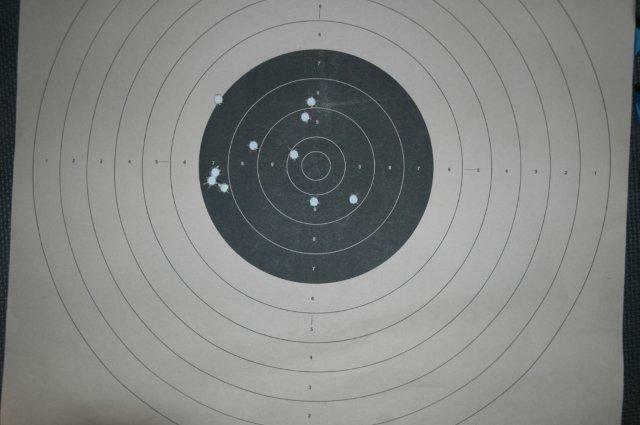 40S&W is a decent round for a trail gun, and despite the simple blowback mechanism, the recoil is not bad at all, and the pistol handles well, so it would work great for an occasional plinking session. All in all, I will be keeping this gun for myself, and I will be carrying them in my store.